The about-face comes just one day after President Donald Trump signed an executive order ending his administration's widely denounced practice of separating parents and children apprehended for illegally crossing the Mexico border. WASHINGTON – President Donald Trump’s executive order to halt family separations unleashed confusion in Washington and at the Mexico border Thursday, as Customs and Border Protection said it would it stop referring such cases for prosecution and migrant parents arrived at courthouses in Texas and Arizona wearing handcuffs only to be led away without facing charges. After a senior U.S. Customs and Border Protection official told The Washington Post that the agency would freeze criminal referrals for migrant parents who cross illegally with children, Justice Department officials insisted their “zero tolerance” policy remained in force and that U.S. attorneys would continue to prosecute those entering the United States unlawfully. On Capitol Hill, a hard-line immigration bill failed to pass and a key vote on a more moderate version of the legislation was postponed. The Pentagon, meanwhile, agreed to house up to 20,000 unaccompanied migrant children on military bases in coming months. And despite the ongoing outcry over the separation of more than 2,300 migrant children from their parents since May 5, Trump administration officials gave no assurances the families would be swiftly reunited. The administration’s about-face leaves intact its “zero tolerance” policy toward those who break the law, but the senior Customs and Border Protection official, asked to explain how the government would change enforcement practices, said Border Patrol agents were instructed to stop sending parents who arrive in the United States with children illegally to federal courthouses for prosecution. “We’re suspending prosecutions of adults who are members of family units until ICE (Immigration and Customs Enforcement) can accelerate resource capability to allow us to maintain custody,” the official said, speaking on the condition of anonymity to explain how the agency has interpreted and implemented Trump’s order. 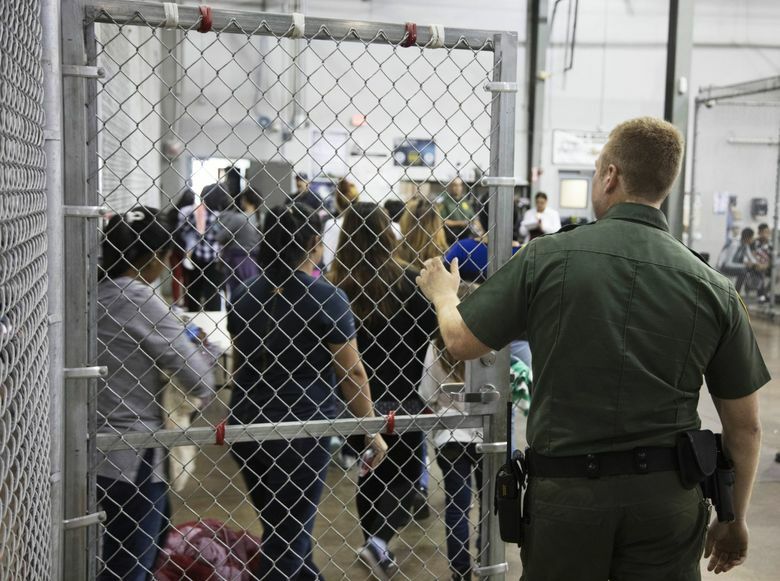 The Washington Post’s Maria Sacchetti, Michael E. Miller and Robert Moore contributed reporting from McAllen, Texas, Yuma, Arizona, and El Paso. Devlin Barrett contributed from Washington.